‘We all need to see how we can improve our behaviour while driving’. 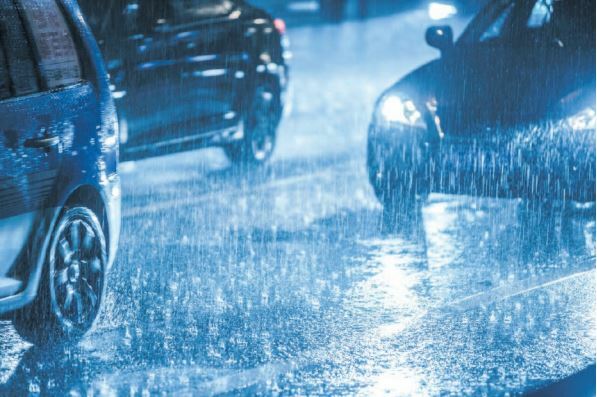 The rain has arrived in earnest in many parts of the country and with it comes wet, slippery roads and bad-tempered, impatient drivers. “Along with that, the load-shedding means traffic lights aren’t working and motorists are facing delays,” says Dewald Ranft, chairperson of the Motor Industry Workshop Association (Miwa), an affiliate association of the Retail Motor Industry Organisation (RMI). Ranft is urging all motorists to take it easy and remember their manners. “It’s time we brought order back to our roads and this needs to start with each one of us looking into how we can improve our behaviour while driving. Just because others may be breaking the law doesn’t mean you should,” he says. South Africa has an exceptionally high mortality rate on our roads and so far the finger pointing hasn’t worked. Driving responsibly also goes a long way to extending the life of your vehicle and its parts. “Harsh braking, rapid accelerating and so on all contribute to the wear and tear on essential parts of your vehicle. It can be even worse in the rain,” he says. Ranft believes sticking to speed limits and keeping a good following distance are two easy ways to make a difference. He adds that just because others are speeding, it doesn’t mean you have to. “The far-right lane is the fast lane. Stay out of this lane if you are feeling pressured by other drivers to break the speed limit. The same applies to the yellow emergency lane. Ranft adds five more tips to improve our driver behaviour: respect yellow and red traffic lights, remember what the lines on the road are there for, indicators are not an optional extra on vehicles, try and leave a little earlier for trips rather than rushing on our roads and remember your manners. Lastly, he says it’s important to make sure your vehicle is roadworthy. The onus is on you to ensure your vehicle is safe to drive so it’s important to regularly service and maintain the vehicle and request a full safety inspection from qualified mechanics and technicians, preferably from an accredited-Miwa workshop. Regular maintenance will ensure that the shock absorbers are in good condition, that the braking system is working properly and that all the vehicle’s safety technologies, such as ABS and airbags, are in working order.